The Talking Adventure Team Commander with Kung Fu Grip (7290) issues the same commands as his earlier counterpart. Listen to them by playing the clip above. The box art was changed to reflect new sets and Joe's new gripping ability. The uniform made a change during this run to square pockets from the curved pleated ones on earlier versions, though the earlier curved two pocket sets show up on the first KFG figures released. This was followed by two square pockets, then just one. The single square pocket persisted through the muscle body era in late 1975 through 1976. 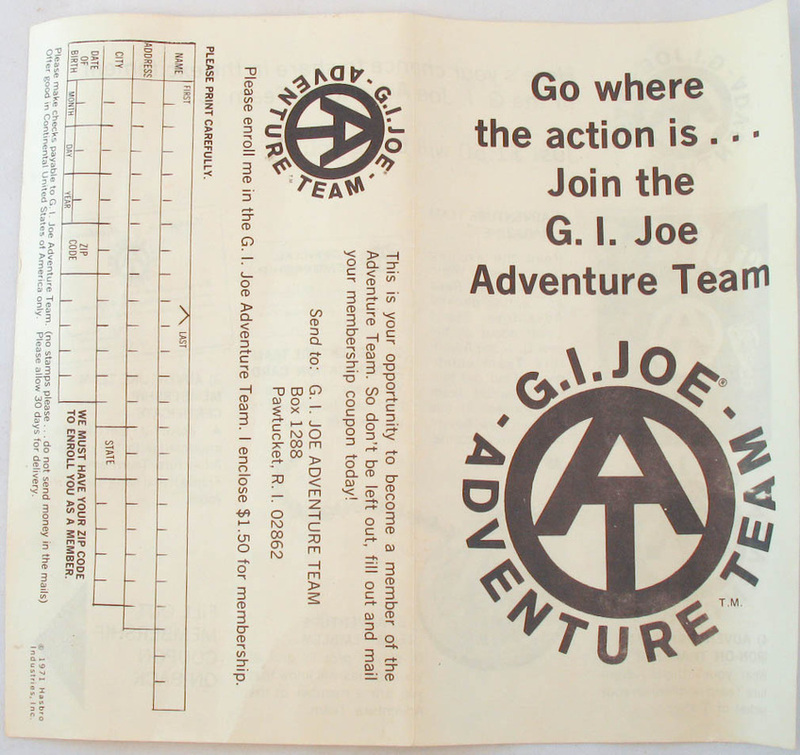 The box insert for the KFG Commander is just two colors, the green of the earlier version having been omitted. As with the earlier release, French speaking Canadian kids got their own version of the Commander. 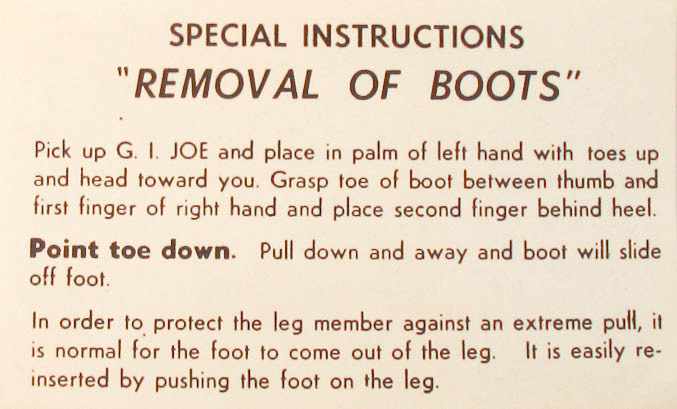 In this case the box is the same as the US version with a "Je parle Francais" sticker added to the front and the insert in French, along with the warrantee papers, talker instructions, and boot removal. The French speaking talkers often have an extra long piece of string hanging off below the dog tag. Canadian figures were also released in English Speaking versions, as the box below shows.